Our Staff would like to welcome you to our Palm Springs office. If you are looking for quality care with a personal touch, we hope you'll give us a call. If you are looking for unique eyewear, we feature ooh la-la de Paris eyewear designed by the Doctors. 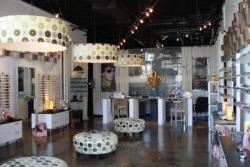 Please visit www.oohlaladeParis.com to view samples of our frame selection. We look for the opportunity of serving your family's optometric needs. We are conveniently located next to the Hyatt Hotel and would be delighted to have you as a patient.